When we worked at Kodak’s digital imaging group in the early 90’s, a 1.2MP camera was strictly for professionals. Digital camera technology has changed a lot since those early days. It has improved so quickly that some cell phone cameras today are better than professional DSLRs from just a few years ago. As a result, film cameras have all but disappeared from the market. 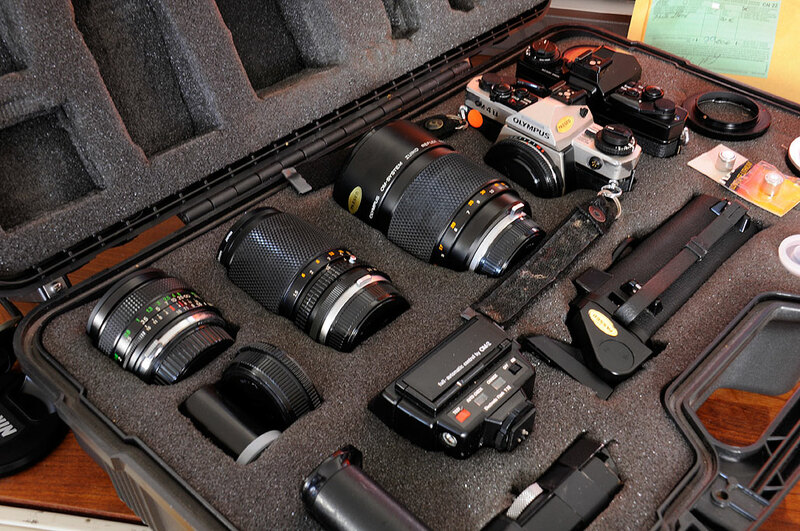 Film-based professional or high-end gear (Leica, Nikon, etc), can still be found, but only on EBay or Craigslist. We have a professional system of Olympus OM gear which we had considered putting up for sale twenty years ago. The last time we used any of it was in the early 90s. However, we held onto them for sentimental reasons more than anything else. Fully mechanical bodies such as the OM 3 have since become collector items while the more technically-advanced body such as the OM 4-T have not. The same is true for Zuiko lenses. Lenses such as the rare 500mm mirror lens commands a higher than original list price on the used camera gear market, but many others are not worth the effort it would take to list them (28mm, 35-105mm, 75-150mm). 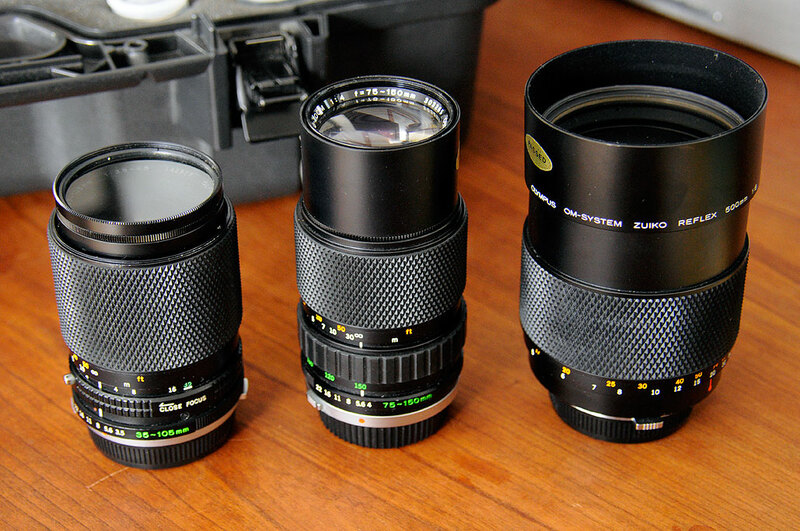 The thing is, most are still really good lenses, both optically and mechanically. So what to do with them??? In the book we looked at last week, The Lens: A Practical Guide for the Creative Photographer, it was mentioned that lenses can be fitted with a third-party adapterto make them work with another brand’s body. We thought that was a pretty interesting idea. 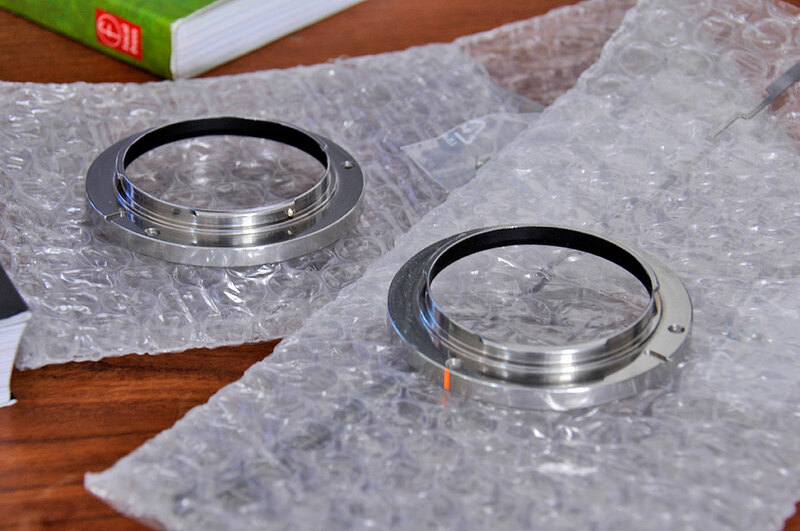 What we were looking for was a way to mount a Olympus Zuiko lens to a Nikon body. Unfortunately, no such commercially-available option exists in the US. However, there is ALWAYS somebody out there who can provide a solution for such a problem. We found the solution from a company in Spain called Leitax. The company is run by David Llado. They make close to thirty different adapters (Leica to Nikon, Contax to Pentax, etc) and had exactly what we needed. Fully reversible and will not damage the lens nor the camera. The camera will show a focus confirmation light in the viewfinder. Leitax also offers the Dandelion chip to go with their Olympus-Nikon mounts. Installing the chip wil enable exposure metering info to be communicated from the converted manual-focus lens to the camera. Go here to learn more about how these chips does its thing. We are eager to give the conversion project a try. Depending on how well things work for the Zuiko 75-150mm, we will proceed with changing our other Zuiko lenses. We will also take the mounting ring off the 500mm and send it to Leitax so they can machine something to make it work with a Nikon body. So if you come across a good piece of photographic glass, but it does not work with your current camera body, consider modifying it with a Leitax adapter. It will give you something unique and the old gear a second life. Win win.